There are plenty of ball players, movie stars, ballet dancers, and business tycoons. 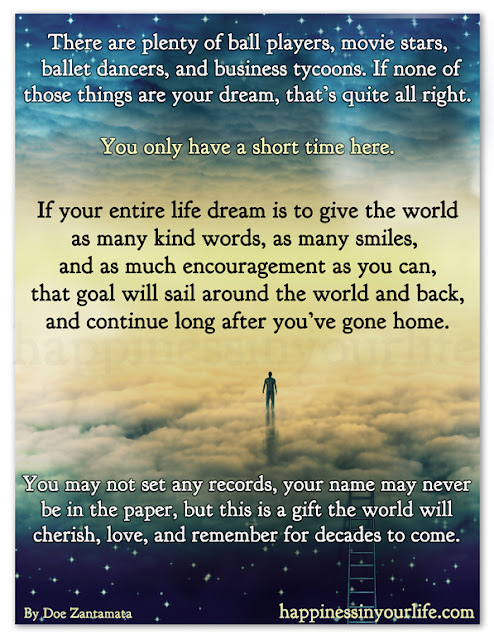 If none of those things are your dream, that's quite all right. You only have a short time here. 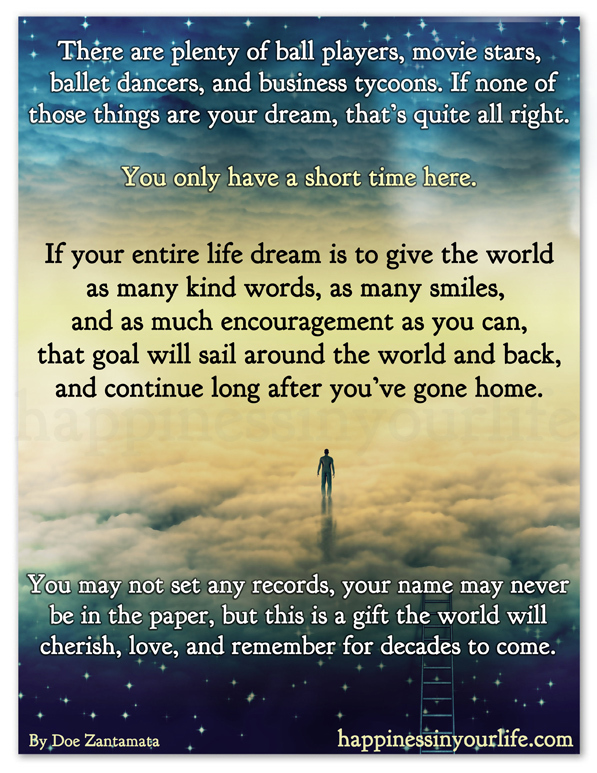 If your entire dream is to give the world as many kind words, as many smiles, and as much encouragement as you can, that goal will sail around the world and back, and continue long after you've gone home. You may not set any records, your name may not be in the paper, but this is a gift the world will cherish, love, and remember for decades to come.